Have you noticed that everywhere you look, people are talking about essential oils? What used to just be considered a fringe treatment or a pleasant way to wade into aromatherapy has become mainstream. The same trend has extended to the world of pet products, and honestly, I couldn’t be happier. Essential oils have so many benefits. 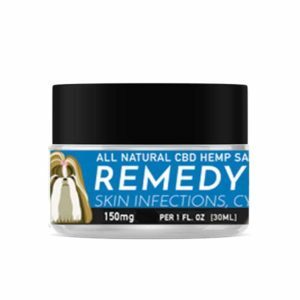 From the inflammation relief found in frankincense to the muscle-healing power of arnica oil, essential oils offer a natural solution over otherwise harmful medications. One of the most popular essential oils, lavender, can also be extremely beneficial for our pets. But before you start mixing lavender oil in your pet’s food, there are a few things you should know. What can lavender essential oil do for pets? When you think of lavender, you probably picture the beautiful purple plant, lavandula angustifolia. The lavender plant can be incredibly beneficial to your garden; in fact, lavender plants have been proven to ward off mosquitos, and provide a safe environment for the bee population and other helpful pollinators. Is it safe for my dog to ingest lavender? Dogs can safely ingest diluted lavender; however, you should make sure to start them on low doses to gauge their reaction. As when using essential oils on people, you should always dilute the oils before using them on your pet or allowing your pet to inhale them. Remember: not all oils are created equally. If the oil is extremely cheap or seems too good to be true, it probably is. Start with just a few drops added to your pet’s water or food per day. A little bit goes a long way. You can also brew your dog a lavender tea with fresh lavender leaves (which is tasty for humans too!) in order to achieve a calming effect. To rid your dog of fleas, make a blend of lavender essential oil and St. John’s Wort oil (adding eucalyptus oil and frankincense can also help pack an extra punch) and rub it on their neck where they cannot lick it off. Lavender oil also has been found to boost the benefits of CBD oil for pets. 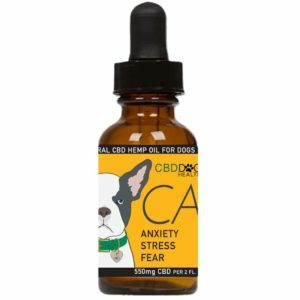 For example, CBD Dog Health’s CALM tincture for dogs contains 550 mg of full spectrum hemp CBD and a blend of lavender oil to help dogs remain calm during storms, fireworks, and even during normal bouts of stress and anxiety. Can cats safely use lavender oil? The jury is still out on whether or not it is safe for cats to ingest lavender. Some research suggests that cats can safely inhale lavender from a diffuser, while other studies and anecdotal evidence says that cats should not eat or ingest lavender because it can cause lavender toxicity, which may lead to diarrhea and respiratory issues. As with dogs, if your cat ingests too large of a quantity of any essential oil, they are likely to become sick and you should contact your veterinarian immediately. Until more research is done on lavender toxicity in cats, it is best to avoid using large amounts of lavender in areas where your cats spend a lot of time. Even if you just use it in your diffuser, the tiny droplets can land on their fur, which may be ingested when they clean themselves, so use caution. Remember: any time you start your pet on a new health regimen, you should monitor them closely for changes and contact your veterinarian immediately if you notice adverse reactions. To learn more about using essential oils safely, visit www.cbddoghealth.com or www.angelaardolino.com.